Ion: We also have Incursions which are a new feature that are reminiscent to some extent of Legion Assaults that we had back in patch 7.2 during Legion, or instead of the demons raining from the sky, they’re going to be situations where an alliance landing force has arrived in Tiragarde Sound, and they have carved out an area of control, they have ships with forces pouring in. This will turn off world quest response on the area and enable a new set of content with a wrap that can be completed once you’ve done enough of it. Very similar to how the Legion assaults were structured. Also this will be available– these world quests will be available for any leveling alts that have already unlocked world quests, again, as a way to sort of boost your leveling, vary the experience from the zones you may have already played through. 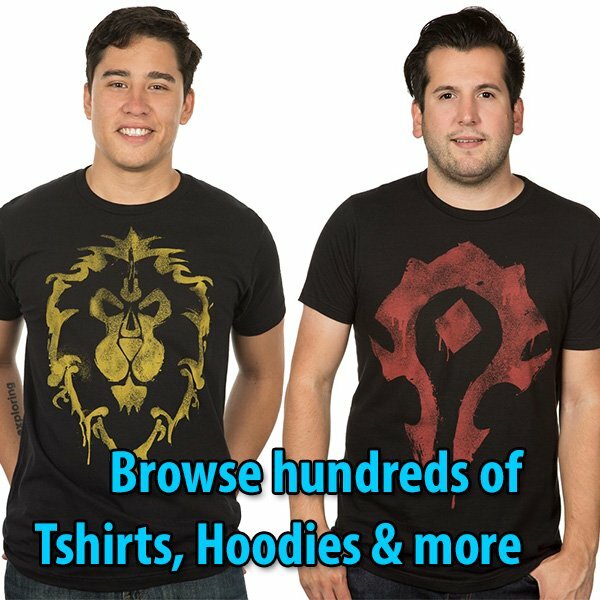 We also have a number of new world quests just added to the rotation throughout the world. Additional variety. Additional depth to that existing system that Battle for Azeroth launched with. Also excited to continue some existing storylines and introduce brand new ones. In Battle for Azeroth, we delved into Jaina’s backstory and what it meant for her to return to her homeland after this period of effective exile. We saw a little bit about what might have happened to the spirit of Vol’jin, but there’s much more to tell in all of these fronts. 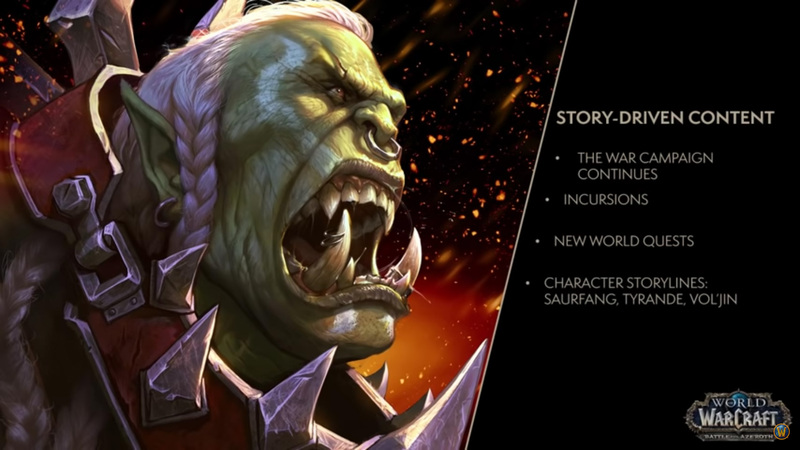 We’re going to be looking very closely at Saurfang whom (as members of the Horde) we last saw languishing in the Stormwind Stockades lamenting lost honor. Tyrande… what does she feel, and what is she doing? What are she and Malfurion doing in the aftermath of seeing their homeland, of seeing Teldrassil burned before their eyes? And yes, what does everyone’s favorite Urn up to? And what has become of Vol’jin, and is there a future for him? This and more are going to be explored in Tides of Vengeance, the coming content update.